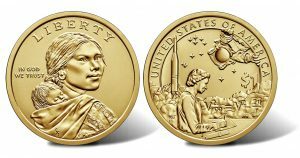 The United States Mint revealed the one-year-only design that will appear on the 2019 Native American $1 Coin. 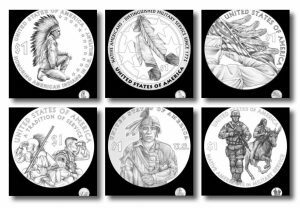 A week ago Tuesday, March 13, the United States Mint at a Citizens Coinage Advisory Committee (CCAC) meeting unveiled design themes for Native American $1 Coins in years 2021, 2022, 2023, and 2024. 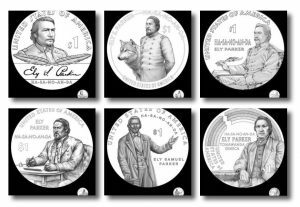 The United States Mint last week published images of the 2018 Native American dollar. 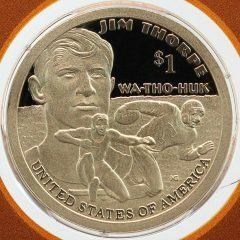 The $1 coin series is known for its annually changing reverse designs. 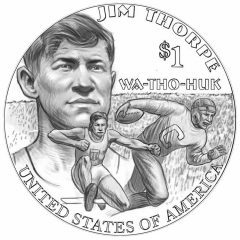 This year’s coins pays homage to sports legend Jim Thorpe. 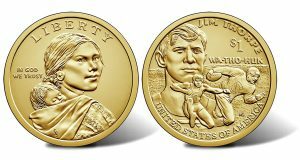 On Thursday, Dec. 21, the United States Mint unveiled the one-year-only design that will appear on the reverse of next year’s 2018 Native American Dollar. Rolls, bags and boxes of the only golden-colored $1 coin from the United States Mint this year are now available with today’s release of the 2017 Native American dollar. 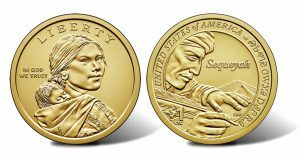 The United States Mint this week updated its product page for the 2017 Native American $1 Coin, providing an image of one and information about its release. 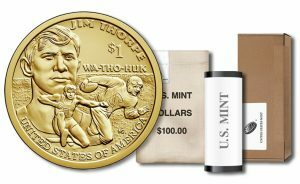 Introduced in 2009, the series of dollars features annually changing reverses.